Bry-Air participated in Indian Ice Cream Congress & Expo scheduled on 28-29 Sep 2016 at Expo Centre Noida. Bry-Air displayed FFB-170 model of dehumidifier in the event. 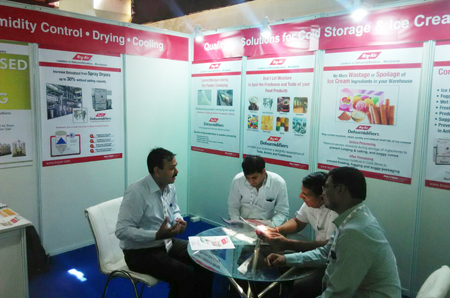 Bry-Air Airgineers at the stall demonstrated the product & its applications in cold storage & ice cream industry.